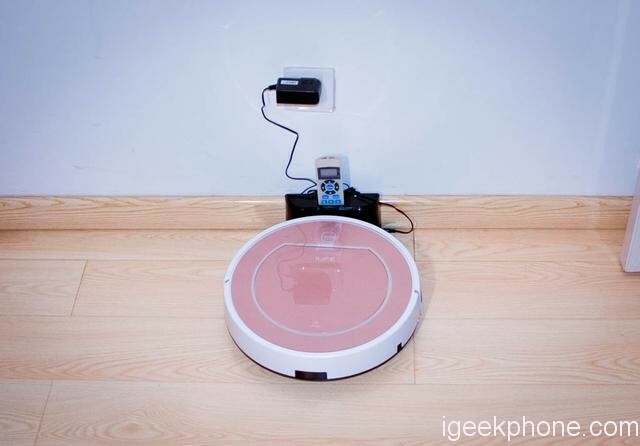 We have already said in previous entries: automatic robot vacuum cleaners have become very famous for a simple reason. 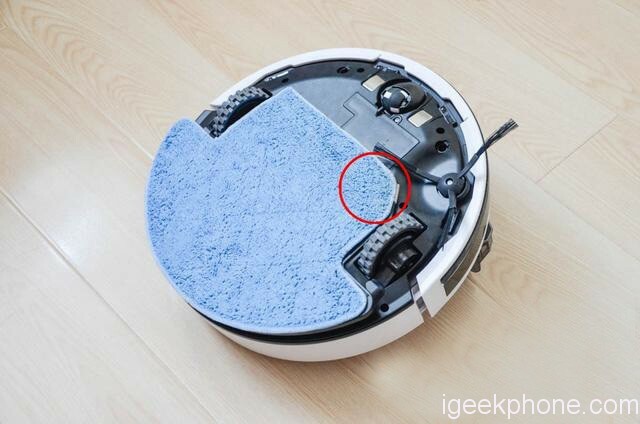 They help to clean the floor of the whole house with little effort thanks to its functions that allow tracing to the last point of the home. The more money we spend, the cleaner we will have the house. 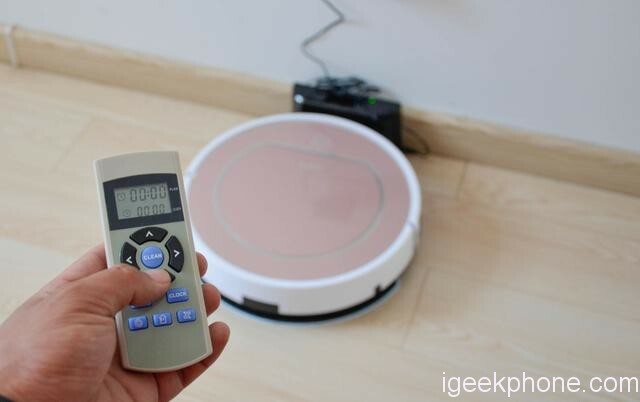 Therefore, it is necessary to take a look at the best offers of robot vacuum cleaners in the Chinese market. 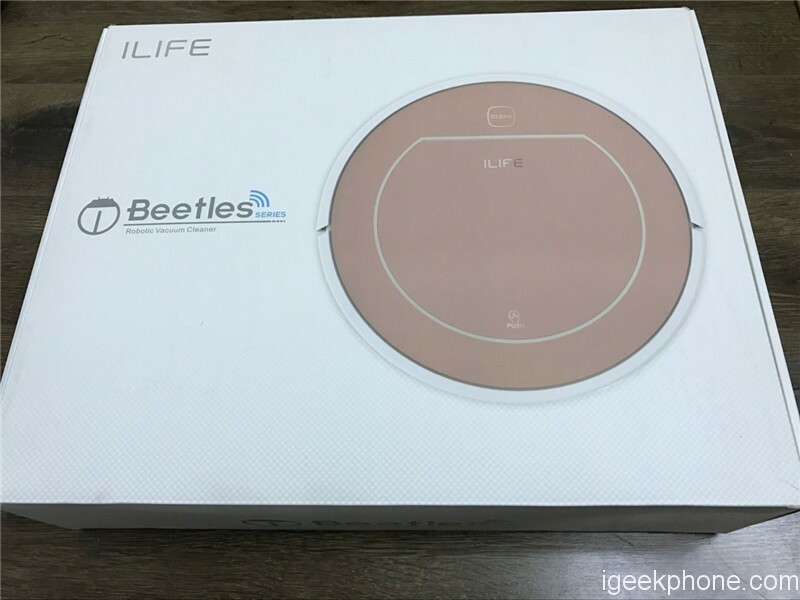 Today we are going to make a detailed review one of the most innovative robot vacuum cleaners in the market, the ILIFE V7S Pro. 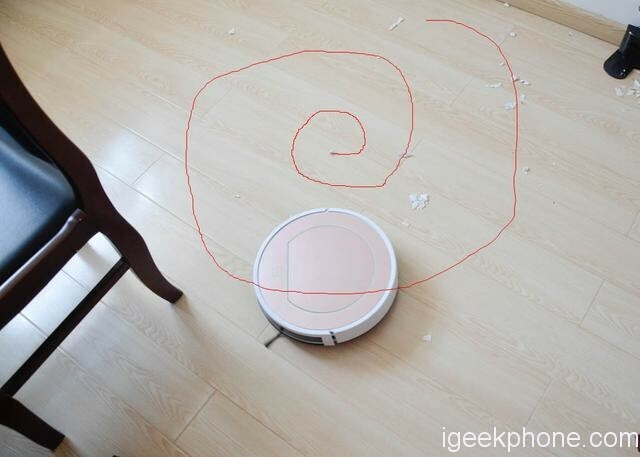 The basic idea is that it always works, helping us to clean the dust of the house automatically, in a short time and making use of all the available tools. There are many. In fact, we say that it is an evolution because it integrates new technologies that allow that the fulfillment of the work is done in a more efficient way. 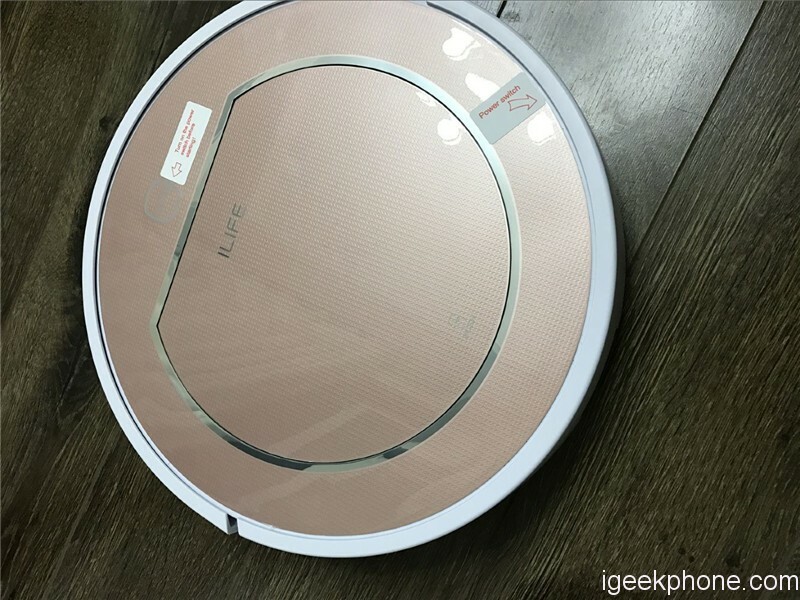 The ILIFE V7S Pro is a robot vacuum cleaner that is anything but basic. You just have to look at its characteristics to discover that it is a great device. To begin to clear up the doubts, we will begin by mentioning the characteristics that make this little friend so special. 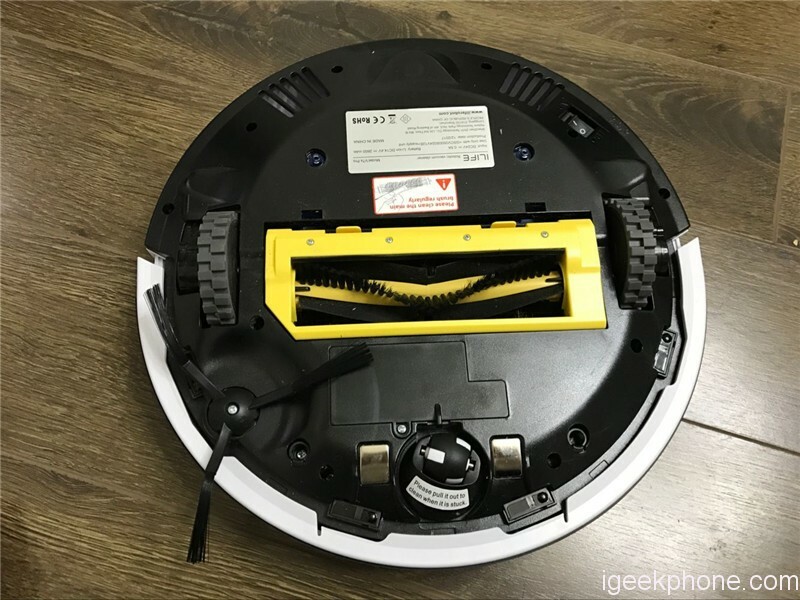 We can observe a wide variety of common features in these vacuum cleaners, but the ILIFE V7S Pro has other somewhat novel, which are very useful. One of the characteristics that we must mention is that the ILIFE V7S Pro works in 2 ways: dry cleaning or wet cleaning. 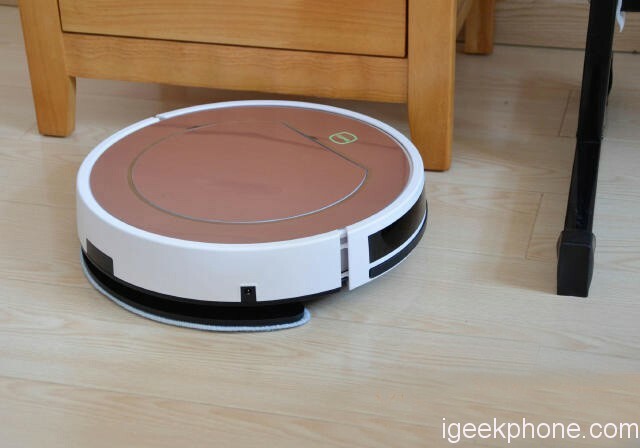 Of course, this has become quite common among these vacuum cleaners, although at present, not all of them have this function, which can be very inconvenient to be really useful. Therefore, this device includes a water tank. It really has 2 containers, but one of them is for dust and another for water; It’s up to us to equip the right one for the type of cleaning we want. 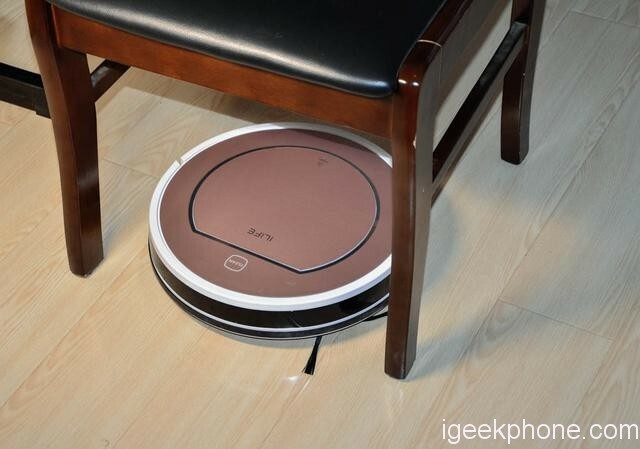 In addition, this device comes with a mop that can be attached to the bottom of the robot thanks to the use of Velcro. It is important to note that the water tank has a capacity of 450 ml while the dust tank is about 500 ml, which makes them relatively large. Let’s talk now about the anti-collision system of the robot. We remind you that this is not a new feature since almost all similar devices have it. It is obvious that without this system, the device could constantly collide with furniture and other things, which puts at risk the integrity of it or whatever it is that collides. The system works by using sensors to perceive the obstacles, which automatically orders a change of direction. In addition to the anti-collision system, the robot has an anti-fall system, which allows it to detect large gaps and change direction before it is too late. 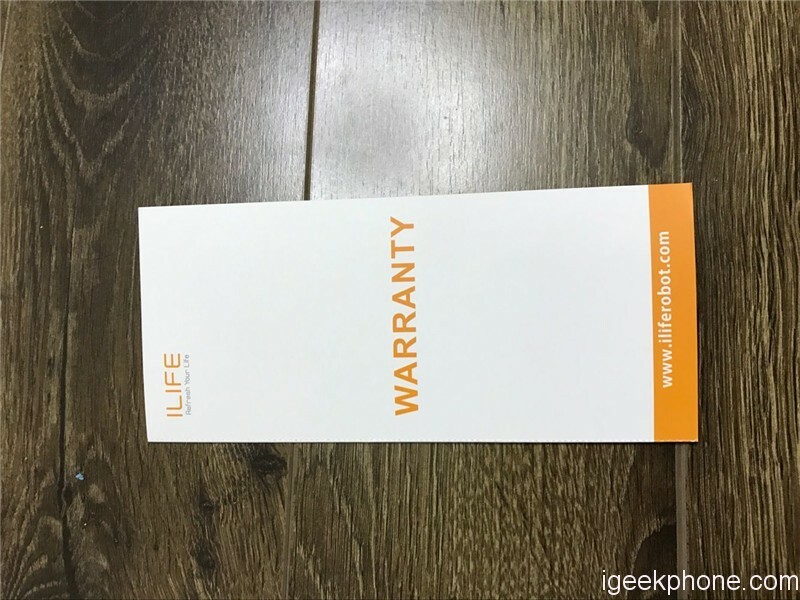 The ILIFE V7S Pro can take care of almost everything you leave lying on the ground, be it confetti, debris, cigarette tails, ashes, among other things. All this is a piece of cake for the robot. In addition, it is quite competent in different types of environments and conditions: floors, cement, ceramics, wood, among other things. 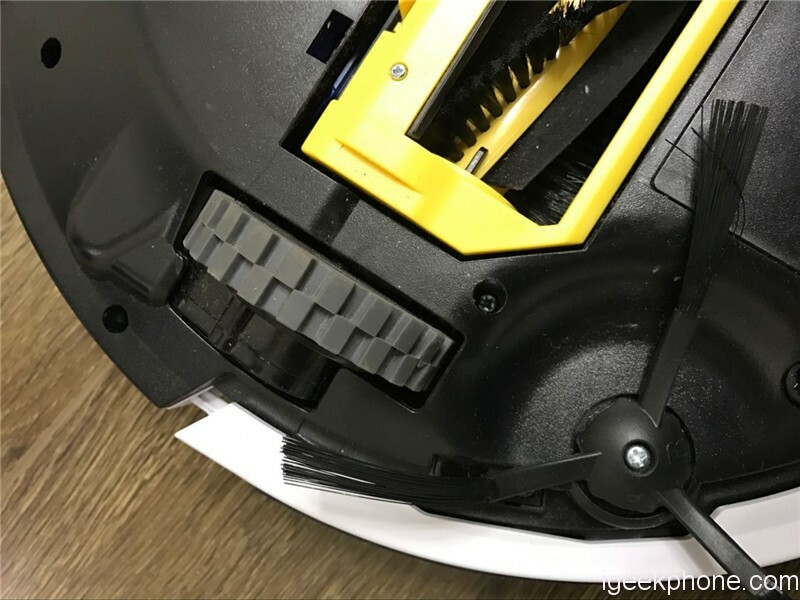 One of the negative things we saw about this model is that it only includes a cleaning brush, considering that currently, almost all these robots include two to have a better performance. 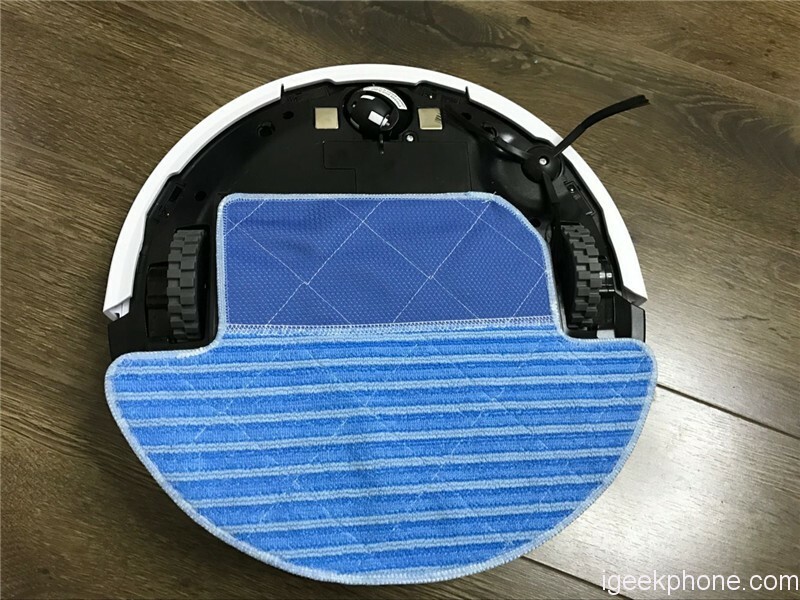 It also has multiple cleaning modes, such as edge cleaning mode, concentrated cleaning modes and reserved cleaning modes. This device is especially large compared to other models and is also somewhat heavy with its almost 3 kilos. 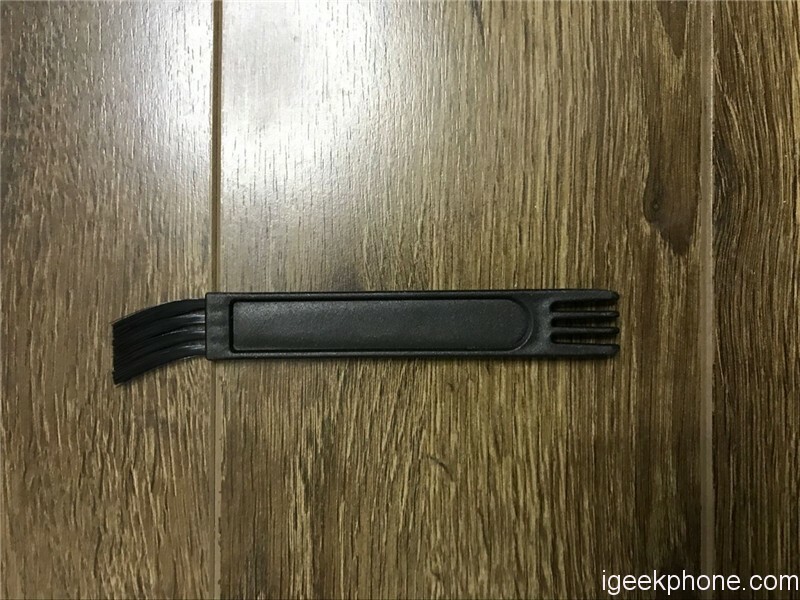 It is only 8 cm thick, something thin, which is well thought out for its purpose to reach all places you can, such as the bottom of a piece of furniture or a corner. The only complaint that we have to the ILIFE V7S Pro is its excessive size. Despite being thin, it is somewhat large in the other dimensions, which makes it very easy to trip over it while doing so work. Many of these devices have a smaller size so this is not a problem. 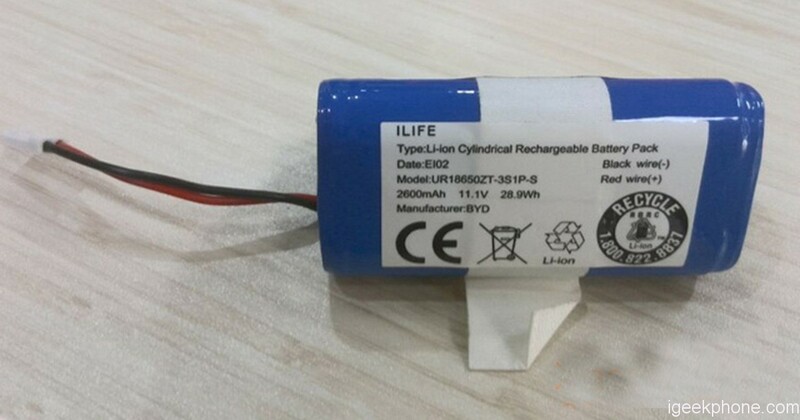 The battery is of vital importance in this type of gadgets. If they run out of charge, who will take care of cleaning the house? You may think that it sounded like someone lazy, but you know it’s true because you do not have the time to clean it on your own. With that said, this device will have the work done before it runs out of battery, all thanks to its 2600mAh capacity battery. Only in case, you run out before finishing your work, the ILIFE V7S Pro will go into recharge mode automatically and start recharging on your own. 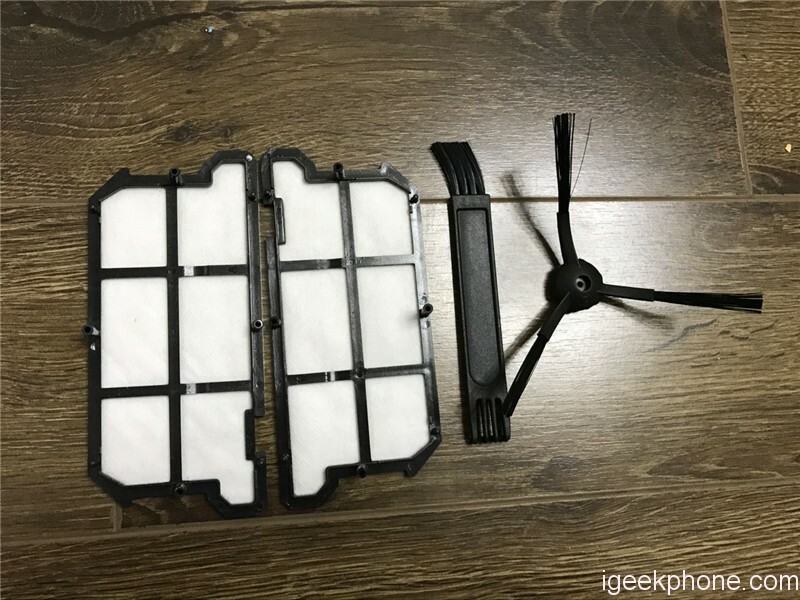 In addition, it takes approximately 300 minutes to fully recharge, which is a fairly long period of time, but not enough for a house to get so dirty again. You can get to work for more than two hours, something very ideal for people who have large houses. And, the ILIFE V7S Pro can cover a distance of 80 to 220 square centimeters. You can see that the box is quite large and strong, and has a briefcase type opening style. The objects are all pressed into a molded cardboard, and the accessories also use small clips for protection. We can appreciate that the content inside the box is really complete; It comes with everything you need to get your new baby going. 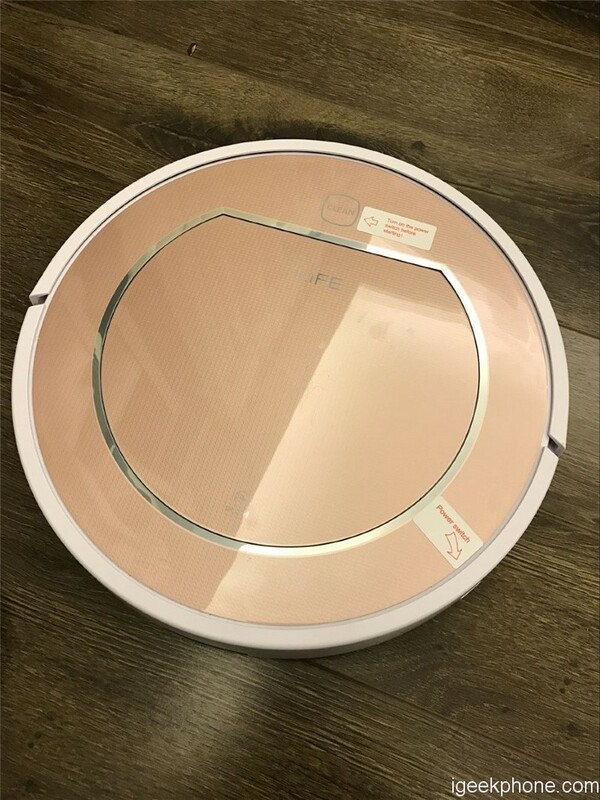 We have in the first place the vacuum cleaner, the tanks for water and dust, the base for recharging, a remote control, a power adapter, 2 side brushes, a mop and a cleaning brush. 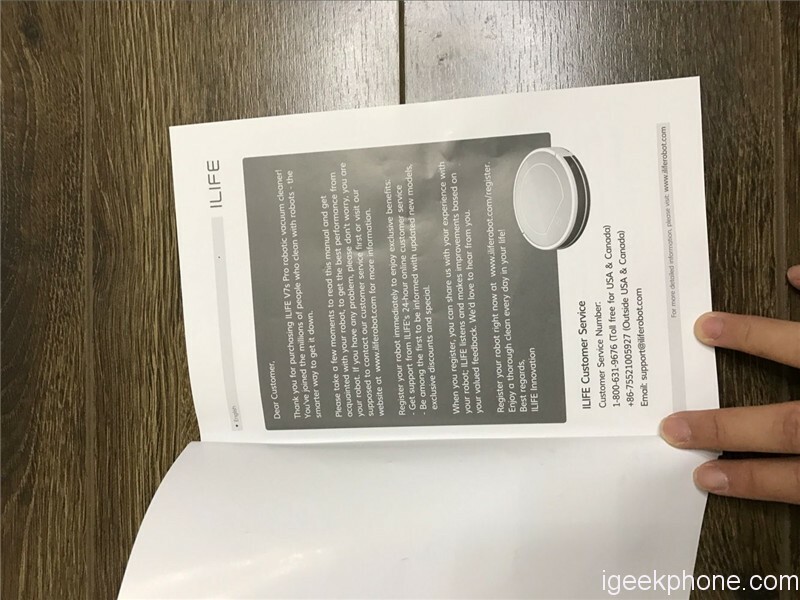 The product also comes with the user’s manual, but it has a small drawback, and if you do not have fluent Chinese, you will not be able to understand it. 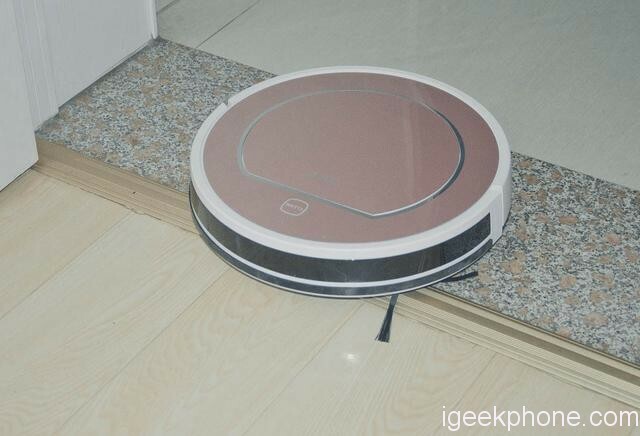 It is a great disadvantage, considering that the device is also sold in the West and not everyone understands Chinese, despite wanting to understand how the vacuum works. Every housewife knows that the task of cleaning the spaces between the tiles can be a real hell, and if you do not clean them efficiently, dirt will simply accumulate. 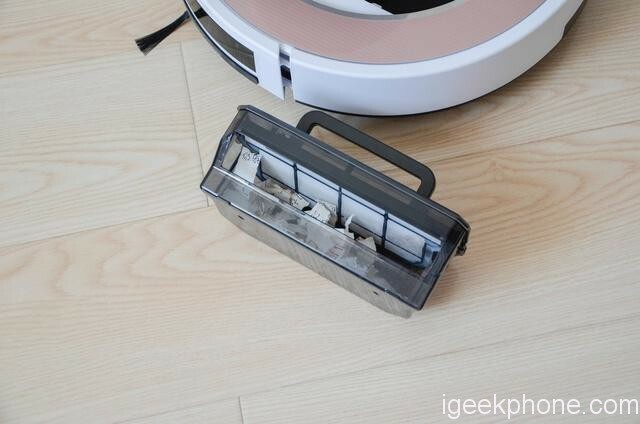 In these situations is when the ILIFE V7S Pro shows off, thanks to its V-shaped brush, which makes cleaning those spaces too easy, storing all that dust and its packaging. 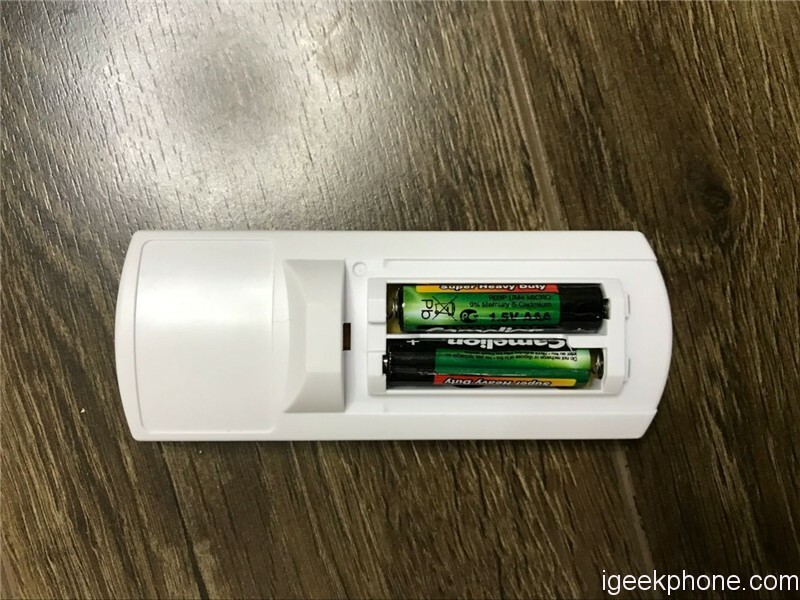 If we look at the powder container, we can see that it is a semi-open structure, and the device will stop working when the container is full. When we tested it, in addition to the accumulated dust, we found a clip in the package, which shows how powerful the suction of this device is; We also found very thin hair, which is to be expected since we are in the season in which this type of things are in the environment, which is convenient for people who are allergic. Let’s talk now about the mopping function. 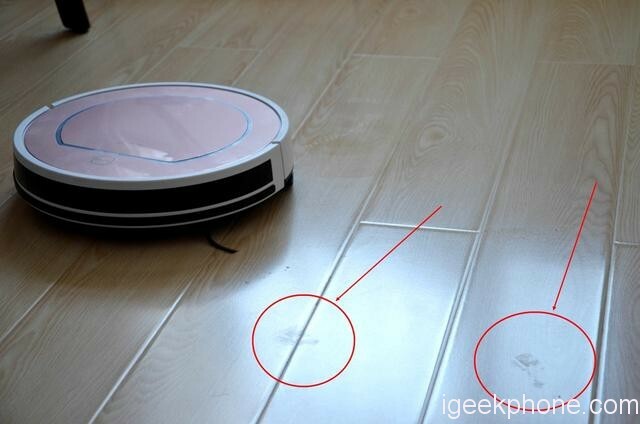 Usually, we can find shoe prints on the floor, which result in a difficult challenge for small robots. 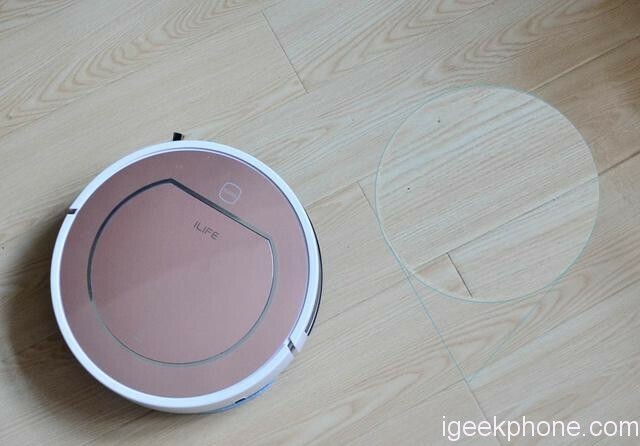 These, however, do not represent problems for the ILIFE V7S Pro thanks to its mop. The robot will make repeated movements until the soil is removed. 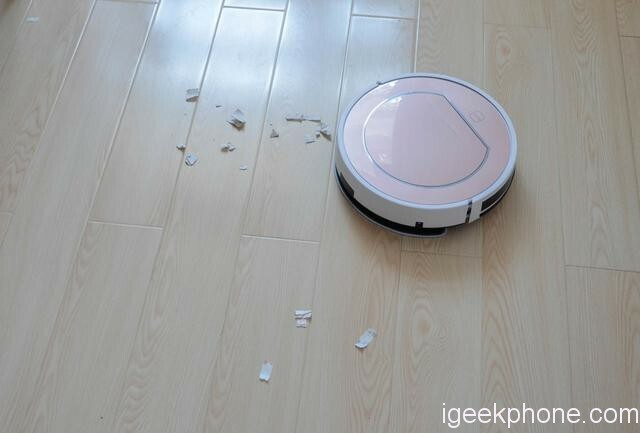 Although there are some spots that even the robot cannot eliminate, no matter how much effort you put to remove it. In this image, we can see how effective the product is when it comes to removing dirt. Now, we’ll talk a little about the cleaning route that this device takes when it does its job. The robot does not have a very good sense of direction, but at least it can avoid all kinds of obstacles thanks to its anti-collision system. As for the anti-collision system, we must add that if the robot feels something too big in its trajectory, it will get a way to pass it without even touching it. We can appreciate in the image that the robot passes in the middle of the legs of the stool since he determines the most effective route without having to change its course. On the other hand, the anti-fall system consists of an infrared light in the lower part of the robot that allows it to detect falls. Any height that is very small and does not represent a major danger to the device will be ignored. It is very convenient when you live in very large houses. But how can we perform a review of a product without talking about basic functions? Well, it has many of them, such as programming when the robot will start doing its work so that you simply schedule one hour and the day. All this through the remote control. As we said before, if the robot runs out of battery, it will go to the charging station and begin to recharge without having to order it. Another note is that we can not expect to have a quality product available all the time if you do not do a little maintenance. 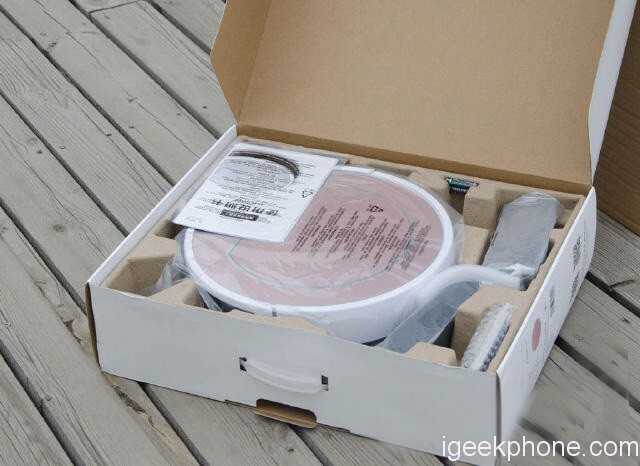 It is not like it is a ridiculous amount of care since what you will do most is to clean the mop and in case something happens to the cleaning brush, you can replace it with the spare that comes in the box. It has a classic circular design, with 340 mm diameter, 80 mm height and a weight of 2.95 Kg. 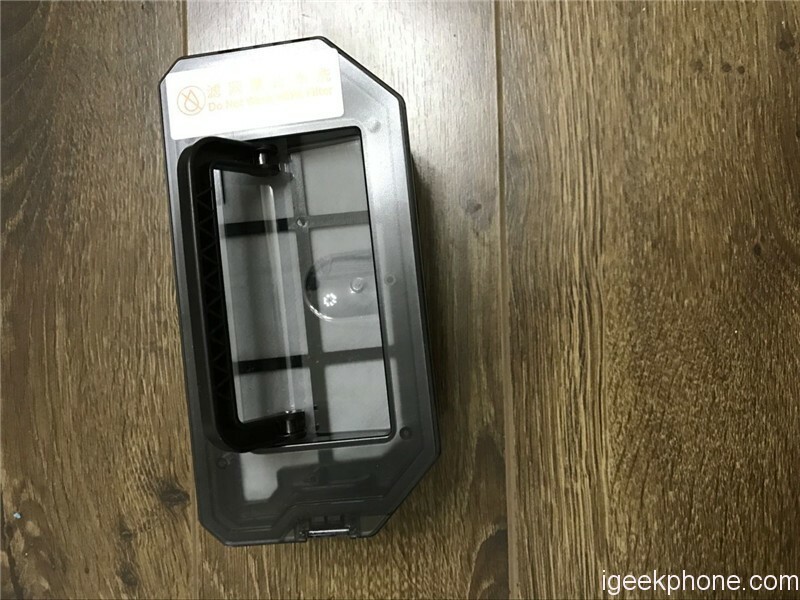 The area where we are supposed to replace the containers can be found on the top of the device after pressing the PUSH button. The mop needs to be installed if we want to use the water tank; otherwise, we would just be throwing water all over the floor. 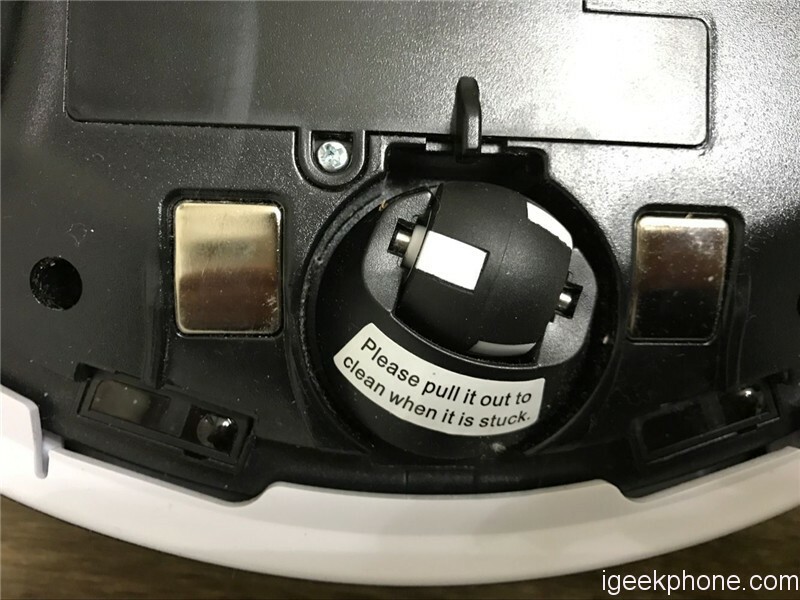 As mentioned before, this can be installed by using Velcro. 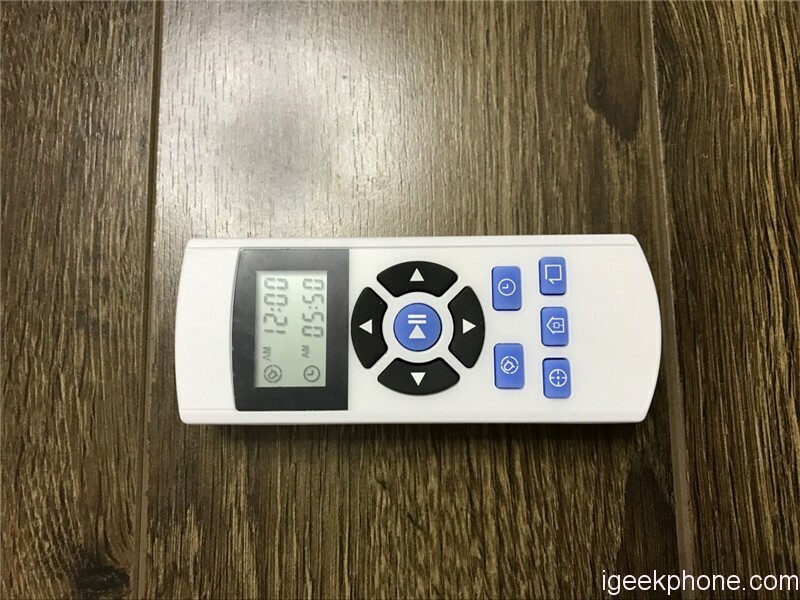 As for the noise that it produces, we have the congratulations to say that it has been drastically reduced with this model in comparison to the past generations, with a total of only 50 decibels.We igeekphone will also make video later. The wheels are made of rubber and have very deep lines to prevent any type of accident when working on wet floors. In addition, despite having a unilateral cleaning brush, this is much larger than other models. We have to admit that we love the base to recharge this device. It even has a designated hole to place the remote control. 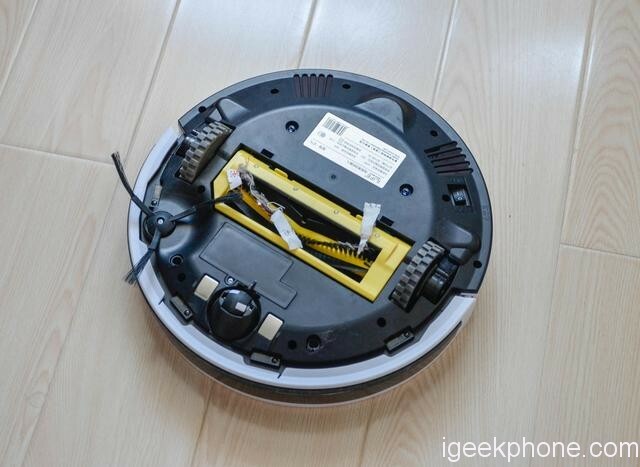 We are before a robot vacuum cleaner that is not perfect. However, thanks to its design and functions, it represents something unique in the market. 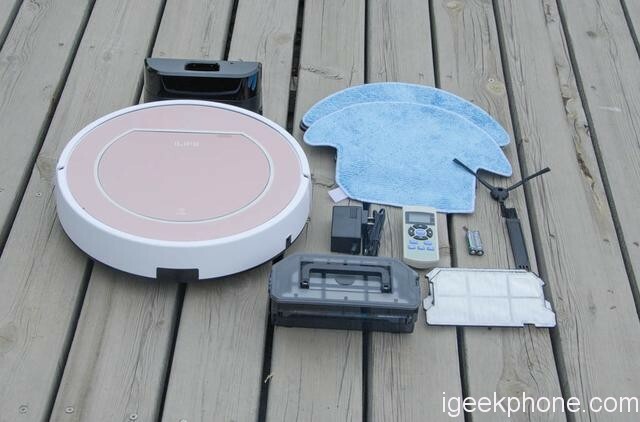 Sure, it has that unique cleaning brush that does not seem enough, and a user’s manual in a single language, but other than that it’s not a bad device. You can finish the job accurately. It is annoying that you have to be careful to change the tanks depending on the cleaning you want, but it is a small price to pay for your clean house. 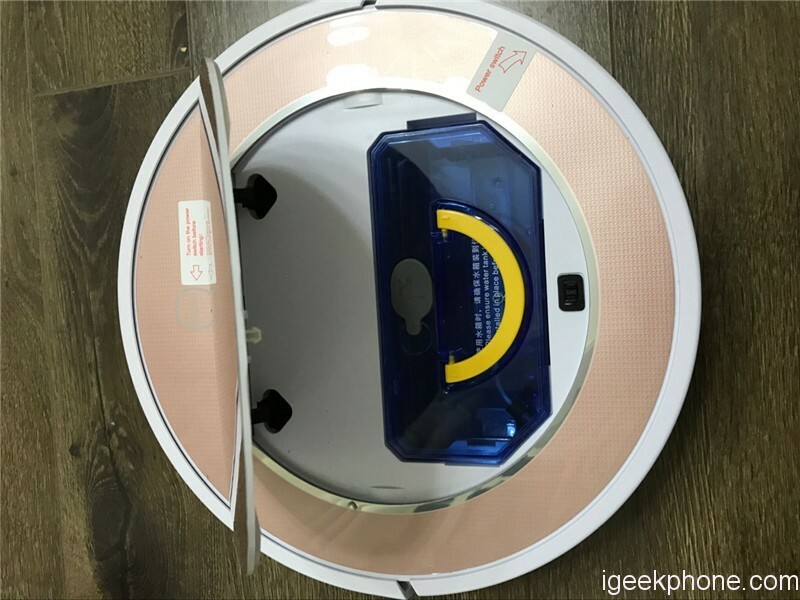 If you are considering buying this ILIFE V7S Pro robot vacuum cleaner, Here are the links with the best prices for this useful smart device. 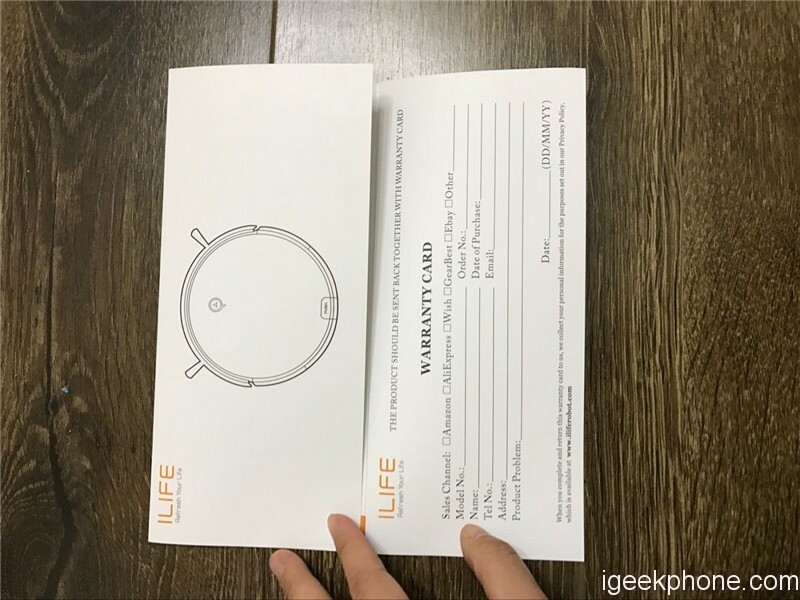 You can also use the coupon code : SMARTHOME during the checkout and buy the ILIFE V7S Pro for only $171.73.